Ancient Future Times February 2012: Sympathetic Strings and Resonant Reeds Benefit with Alex de Grassi, Paul McCandless, and Many More! Greetings to everyone at the beginning of this 34th year in Ancient Future's journey in world music! I recently received quite a few e-mails from people asking how I'm doing. As you may have heard, I have repetitive strain injuries in my right shoulder and left wrist that have caused the cancellation of over six months of concerts. First, I'm very grateful to the following people who have graciously donated to help cover some of my living expenses and medical costs: Inoshi Elmer, Az Samad (Malaysian guitarist), Marguerite Rigoglioso, Marcia Sloane (cellist on Quiet Fire by Ancient Future), Ralph Kaywin, Arnie Hobbs. Greg Mann, Alan Deikman, Dallas Smith (winds with Mazer and Smith and the Indian jazz band Mynta), Teed Rockwell (performer of Indian music on Chapman Stick), Lynn Robbie, Mitchell Landy, Susan Gawarecki, Warren Kahn (recording engineer for Asian Fusion by Ancient Future and Sangria by Mariah Parker), Stephen Brown, Toby (Tova) Halpern, Mark Forman, Shenshen Zhang (Chinese pipa performer). To each of you, as well as those who expressed concern but were unable to donate, my deepest appreciation. It's heartwarming that such a large number of my fellow musicians have donated. And thanks to the support of Dr. Behzad and Dr. Patty Weiss (who is also one of Ancient Future's violinists), I've been able to upgrade my computer so that it can run Dragon Dictate, a voice control software system. This means that I'm now able to start working on booking gigs, albeit at a much slower pace. I wasn't able to send out all of the fall booking e-mails, so this means that it will be this summer at the earliest before I'm able to book a normal concert schedule. On the positive side, by then I should be fully healed and able to perform without risking re-injury. I'm pleased to report that my injuries are slowly healing, and although my progress is not a straight line by any means, I do expect to fully recover. The challenge now is to raise money for several months more living expenses while I'm continuing to heal. I'm happy to announce there are several ways to help. On leap year day, Wednesday, February 29, a number of extremely talented musicians have volunteered to do a benefit concert (see Sympathetic Strings and Resonant Reeds below) on my behalf at the 142 Throckmorton Theatre in Mill Valley, California. The bill features acoustic guitar icon Alex de Grassi; Mariah Parker's Indo Latin Jazz Ensemble with woodwind virtuoso Paul McCandless, percussionist Ian Dogole, and bassist Fred Randolph; classical guitarist extraordinaire Jon Mendle; and an acoustic guitar round-robin with Teja Gerken and Ronnie Ray Padilla. Music lovers in the San Francisco Bay Area have a wonderful opportunity to hear all of these amazing musicians on one bill while helping provide support during this time of need. You can also help by donating goods or services to a silent auction that will be held at the event. For example, Muffin Mania has offered a gift certificate towards the cause, and Jane Bell has offered one of her flower essence kits. Please get in touch if you have any goods or services to donate for the silent auction. If you can't make it, you can help with direct donations, by purchasing CDs and books through ancient-future.com, by signing up for music lessons with me in person or via Skype, or by becoming a subscriber to the Archive of Future Ancient Recordings, which is a crowd funded project to produce the next Ancient Future release. The project already has almost an hour of meticulously mixed live recordings available exclusively to supporters, and basic tracks for three studio recordings are awaiting funding for mixing and mastering so that they too can be added to the archive. I'm feeling optimistic and I thank everyone for their support and especially for your good wishes for my fast healing. 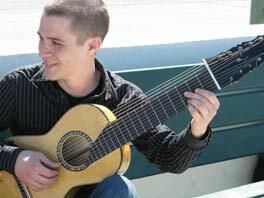 The concert is a benefit for guitarist Matthew Montfort of the world fusion music band Ancient Future. Funds go to support his recovery from a wrist injury that resulted in the cancellation of many months of performances. Wrist injury recovery donations are also accepted online at ancient-future.com. 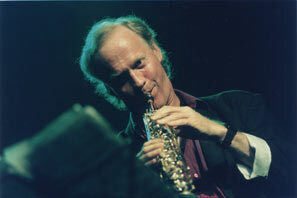 During a distinguished career spanning three decades, Paul McCandless has brought a soaring lyricism to his playing and composing that has been integral to the ensemble sound of two seminal world music bands, the original Paul Winter Consort and the relentlessly innovative quartet, Oregon. Since making his Carnegie Hall debut at age 19, classical guitarist Jon Mendle is rapidly building a career as a performer, teacher, arranger, and composer, which has already included a tour with Yo-Yo Ma and the Silk Road Ensemble. This format is well-known to Bay Area acoustic guitar fans. Teja Gerken, an editor of Acoustic Guitar Magazine, has hosted round-robins at venues such as San Francisco's Bazaar Cafe, the Sleeping Lady Cafe, and Freight and Salvage for over a decade now, performing over 100 shows with over 100 players! 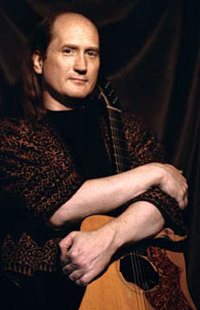 Born in Germany in 1970, Teja began his journey on the guitar at the age of six and became a serious student of the instrument after his family moved to California in the mid '80s. A San Francisco Bay Area musician, Ronnie Ray Padilla is a multi-instrumentalist, composer, and vocalist whose style spans pop, funk, jazz, afro and several global styles. He has recorded with Billy Young (formerly of Earth, Wind and Fire), Kenneth Nash (formerly with Herbie Hancock, Weather Report and many more), Lion of Juda (Jamaican reggae band), Rocker-T (dance-hall recording artist), and many other artists.